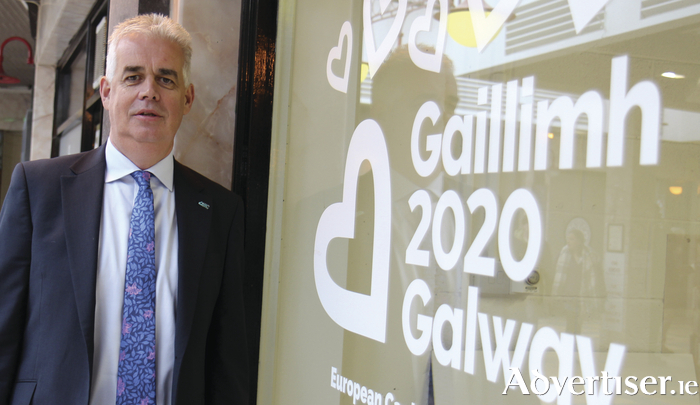 Galway 2020 has announced the appointment of Galway man Fintan Maher to the position of Communications Director of the company tasked with delivering Galway’s European Capital of Culture in 2020. As Communications Director, Mr Maher will be responsible for designing and leading a large scale communications and marketing strategy in support of the ambitious programme for Galway 2020, with a particular focus on European and international markets. He will be the principal communications adviser to the Chief Executive, senior colleagues and the Board, contributing professional marketing and communications expertise to an effective, high performing organisation delivering value for money in the way it conducts its business. Mr Maher is a highly experienced marketing and communications professional with over 25 years’ experience across a variety of industries including not for profit, international development, manufacturing and services. He began his career working with Barnardo’ in the UK where he held a number of roles, progressing to the senior post of Marketing Director. He spent the next 10 years working in Ireland in various commercial activities. He was Director of Development for Cope Galway for five years and most recently he was Director of Public Engagement for Trócaire, the overseas development agency. Throughout his career he has honed his communication, interpersonal, management, public relations, commercial, organisational and motivational skills. Commenting on his appointment he said “it isn’t every person who is afforded the opportunity to play an important role in reshaping the cultural landscape of the place they love. I see Galway 2020 as a unique opportunity to send waves of possibility throughout our region and beyond. “We will be regarded as a shining example of a people who have grasped this opportunity with both hands. Hope for the future of this great place can be fed directly by Galway 2020 and all it has to offer. As a proud Galwegian, I relish the opportunity to play my part in securing that future”. Hannah Kiely, Chief Executive Officer of Galway 2020, said that she isdelighted that Fintan Maher is joining the team and leading the marketing and communications strategy. Are you thinking of selling in Galway? Page generated in 0.2264 seconds.